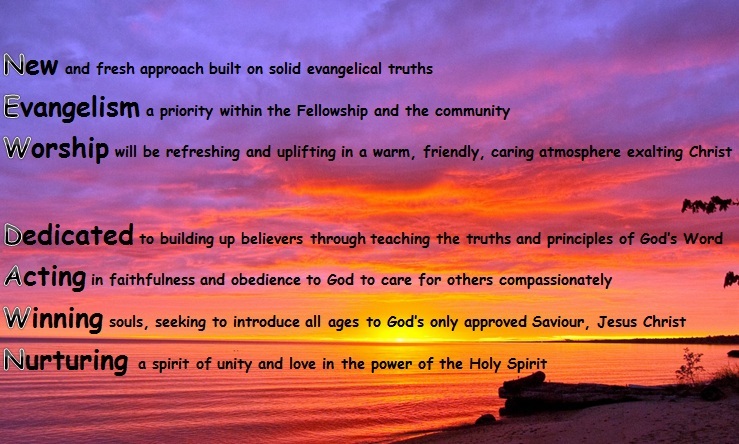 New Dawn takes its vision and purpose from the New Testament Church in Acts: to exalt the Saviour, teach the scriptures, build up believers in the faith, embrace the Holy Spirit and evangelise the lost. New Dawn is dedicated to provide refreshing and uplifting worship in a warm, friendly, caring atmosphere, among people who are sincere in their love for Christ, faithful in their service for Him and compassionate in their care for others. New Dawn is committed to reaching out to the local community with genuine interest and a sincere desire to win souls.